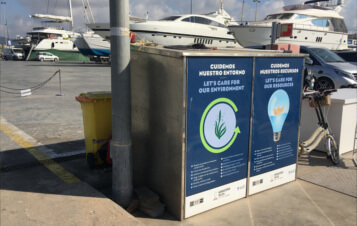 As well as having sustainable facilities, Varadero Ibiza tries to raise its customers’ awareness of the ecological impact of their habits on the sea. 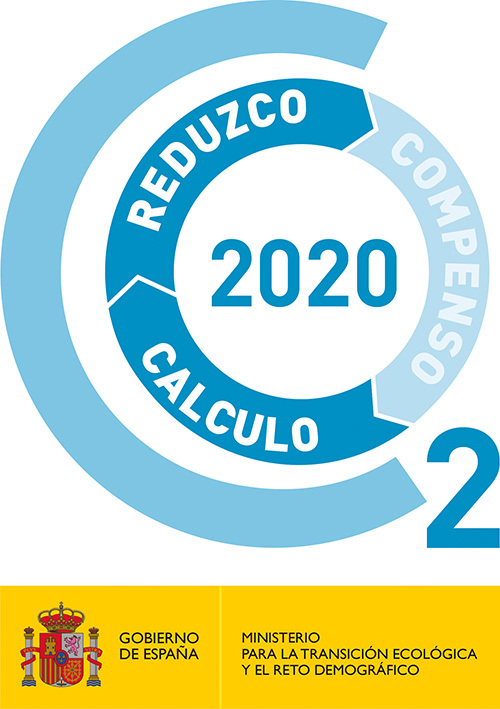 To do this, it organises activities and services aimed at reducing or eliminating bad habits, optimising resources, and encouraging its customers to cooperate in preserving the environment. 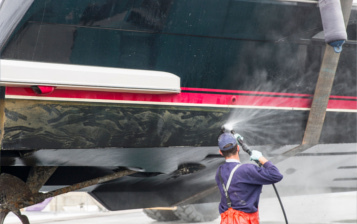 Keep your boat well maintained and you will reduce fuel consumption. Reduce your speed at sea. Turn off your engines when they are not needed. Do not anchor in protected areas or over posidonia prairies. Respect restricted anchoring areas and look after our environment. Do not discharge black/dirty water or bilge water in the shipyard’s waters, in Ibiza port or in the coves where you anchor. We have special containers for each type of waste. If you cannot find the right containers (paper, glass, organic, packaging, etc. ), consult our staff. Waste oil, dirty water and any other polluting products must be kept on board until they can be discharged at the port facilities intended for the purpose. Throwing plastic, glass, oil, packaging, drums, fuel, oily water or shower, kitchen or bath water into the sea is prohibited. Do not throw any harmful product or substance overboard. Use water pistols when the hose is plugged into a hydrant. Close the stopcock after cleaning the boat. Warn our staff if you detect a leak in the water supply network. Set your air conditioning temperature at 26º or above. Make use of the sun during the day and keep your heating at 21º or below at night. Do not leave the boat connected to the power supply if you are not there. Let marina staff know if you need help with connection and disconnection. This seagrass is endemic to Ibiza and Formentera and was declared Heritage of Humanity by UNESCO due to its multiple environmental benefits. The reason why our beaches have fine white sand, and why our waters are crystal clear with a unique turquoise colour, is precisely because of the posidonia. This marine plant species is autochthonous and protected, and is responsible for maintaining the habitats of marine flora and fauna on our islands, because it filters the waters. The posidonia meadow is a protected asset. There are areas in which anchoring is banned by law. Find out before casting your anchor in a prohibited area, and breaking the law. It is the oldest living being on Earth, whose age has been estimated at some 100,000 years old. It has fruits, flowers, leaves, stems and roots. It flowers in autumn and bears fruits known as ‘sea olives’. The meadows produce between 4 and 20 litres of oxygen each day per square metre, representing one of the most significant sources of oxygen in the Mediterranean. More than 400 plant and 100 animal species inhabit the posidonia meadows. Their destruction would seriously affect the local economies that live from fishing, and could disrupt the ecosystem. Never anchor over posidonia meadows. Check your bearings before casting the anchor. Respect the sea life of the meadows. Do not disturb any animals or pull out any type of plant species. Your photos should be memory enough. Keep an eye on your buoyancy and fluttering to make sure you don't damage the seabed or raise sediment. Be careful with the seaweed Caulerpa racemosa. Also known as sea grapes. If you find it, do not pull it out. Check your equipment after immersion and, if you find traces of this invasive alga, place it into a rubbish bin. Keep the seabeds trash free. Do not throw any trash or waste overboard. And if you find plastic, tins or batteries while anchored or diving, pick them up and put them into bins. Take action. Volunteer to monitor the posidonia meadows. Find out more at balearslifeposidonia.eu or balearslifeposidonia.eu.